I follow quite a number of beauty channels on YouTube. One of my favourite channel has to be Marlena from Makeup Geek in America. I admire Marlena so much - she runs a successful YouTube channel, building on her youtube success, she manages to launch her own makeup brand & turn it into a successful business! 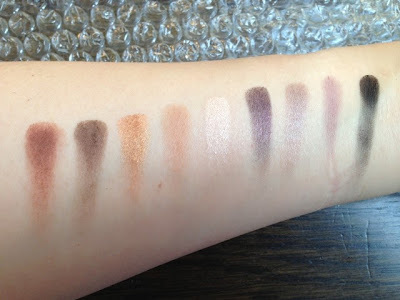 In her videos, she demo her own brand "makeup geek" eye shadows in lots of tutorials, the colours look amazing! I am so tempted by them. So I have finally gone on to her website & ordered a few things. 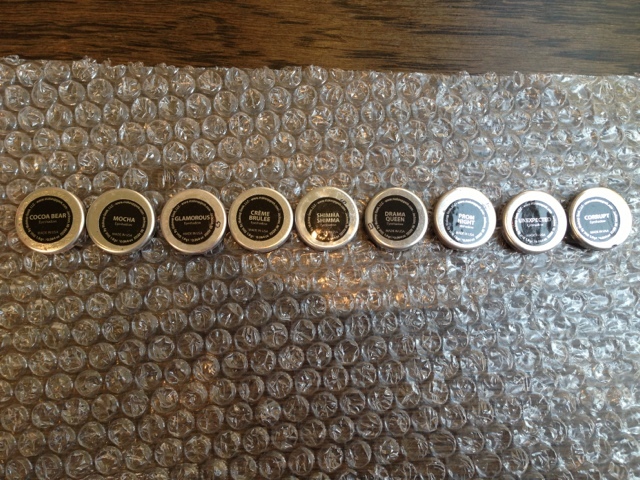 I ordered the 9-eye shadow starter kit & four brushes. The dispatch was very quick, the shipment took about a week to arrive. (Beware UK people, shipments from America are likely to attract tax as they enter UK. I needed to pay £10 extra as VAT when I collected my parcel from the post office). Everything was packed securely in bubble wraps, everything came in perfect conditions. What's more it came with a little handwritten thank you note! What a sweet little touch! The 9-eye shadow starter kit is a great way to try their products, and it is cheaper than to buy all the shades on its own. They are colours hand picked by Marlena to create this versatile palette. - Prom Night – Pale purple with hints of grey and a shimmery finish. 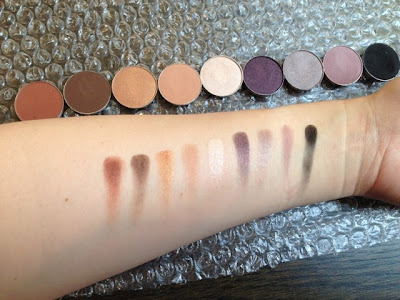 They are highly pigmented shadows, the quality is up there, if not, better than MAC, but just a fraction of the price. 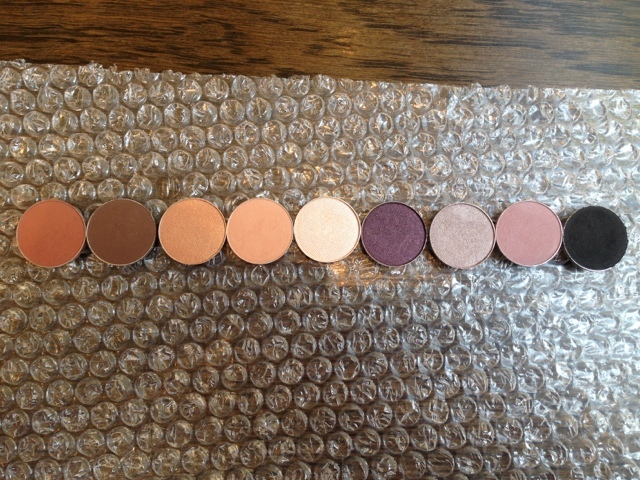 They are already magnetise to fit nicely into a Z-palette, or a MAC palette. All the eye shadows have such cute names! I would say this is a natural/purple version of the Naked Palette. I particular love the shade Prom Night, very unusual purpley grey shade. 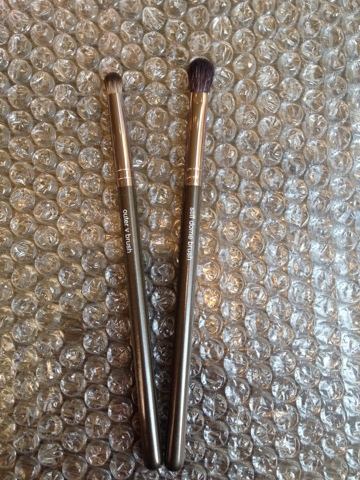 I ordered four Makeup Geek own brand brushes too - an angled face brush & a stiff dome brush for my sister @beautyorbread. As for myself, I had the dome brush as well, and a small outer v brush. 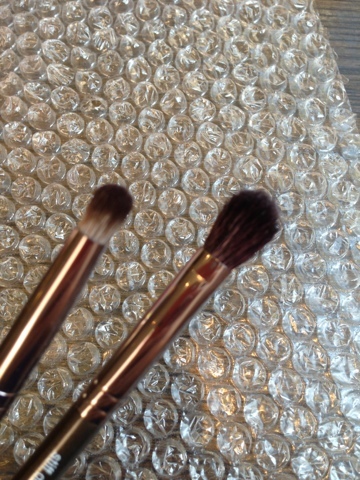 The stiff dome brush is supposed to be a dupe for the famous MAC 217. 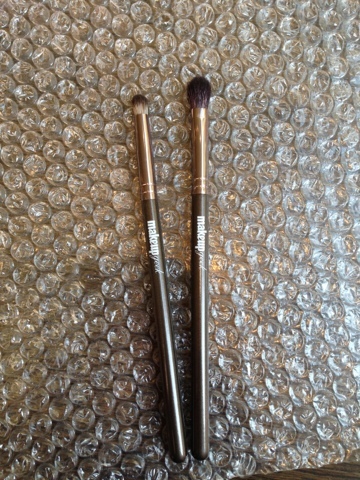 The outer v brush is a small round brush great for smokey eye. I am so pleased with my purchase, I will get so much use out of them, and I am already eyeing for more shades on their online store for my next order! !